The 2018 Acura TLX has been revised and updated for the 2018 year. With an all-new generation comes an all-new generation of reviews. Let’s see what some critics from the automotive industry’s top sites have to say about changes to the new TLX. The Car and Driver review was written by Andrew Wendler, and he liked the Acura brand when it just started out, but he felt that several years in, they started to lose track of their purpose a bit. However, he seems to think that the 2018 Acura TLX has made some positive changes, so let’s look into that a bit more below. The engine choices haven’t been changed. You still have a 206-horsepower 2.4-liter inline-four with an eight-speed dual-clutch automatic transmission or the 290-horsepower 3.5-liter V6 with a nine-speed automatic transmission. However, now, front-wheel-drive models have Precision All-Wheel Steer (P-AWS) standard, and you can easily upgrade to the Super Handling All-Wheel Drive (SH-AWD). As far as the driving itself, the 2018 Acura TLX is now more accurate. The Car and Driver team took this out for a test drive, and they state that the revisions Acura made give you better handling. With these updates, you now have better straight-line tracking, sharper turn-in, and true tracking of minimal steering inputs. The SH-AWD also gives you the ability to toggle 100 percent of the rear torque between the rear wheels. Also, you can now find the AcuraWatch suite of safety features standard. These features include lane-keeping assist, forward collision warning, automated emergency braking, adaptive cruise control and lane-departure warning/mitigation. The infotainment system is now standard as well, and according to Car and Driver, it is quicker than before. Motor Trend also thinks that Acura has stepped up their game with updates and even more of an emotional pull. They think that the Acura TLX offers a good amount of luxury and a logical, intuitive design. 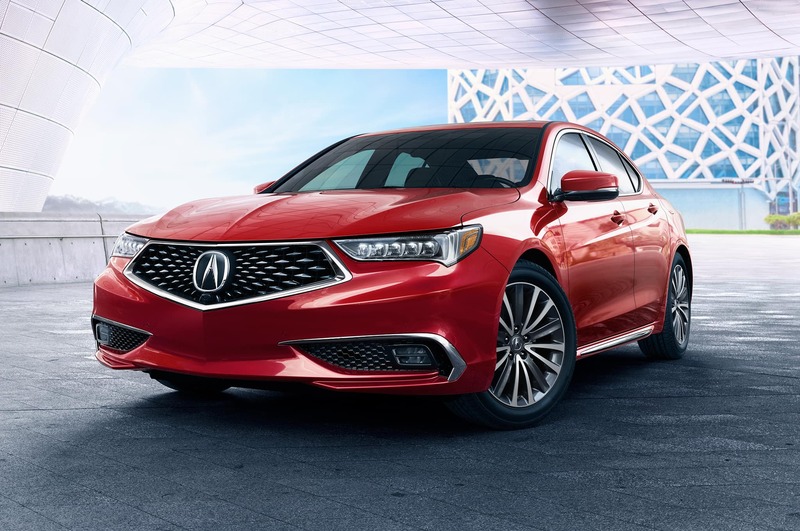 According to Motor Trend, every version of the 2018 Acura TLX gives you a good amount of standard options for a luxury vehicle. Features like Android Auto, Apple CarPlay, heated front seats, a proximity key and adaptive safety technology come standard. On the performance side, the 2018 TLX A-Spec made a positive impression. Motor Trend thinks that you there is a real difference between having the A-Spec versus not. This includes a firmer suspension and tighter steering. Also noted, the nine-speed automatic transmission seems to be improved from last year’s vehicle. For the price, all of the features you can get and the better performance, Motor Trend seems to think this vehicle has a better value than ever. Road and Track also noted the firmer suspension and more responsive steering of the A-Spec TLX. However, the author says that a lot of the differences between the A-Spec and standard versions are cosmetic differences. Technology was another area where this reviewer noted a significant improvement from previous years. According to Road and Track, the infotainment system is more responsive, and the revisions to incorporate smartphone integration are welcome. The great value is mentioned again in the Road and Track review. This review says the 2018 TLX beats out pretty much all the competition with the price and the extra features it adds like wireless phone charging and ventilated front seats. All three critics think the 2018 Acura TLX has made some good improvements. They have noted the better handling on the A-Spec, the better technology and the great value. These critics suggest the 2018 TLX is a good option and well worth your money.